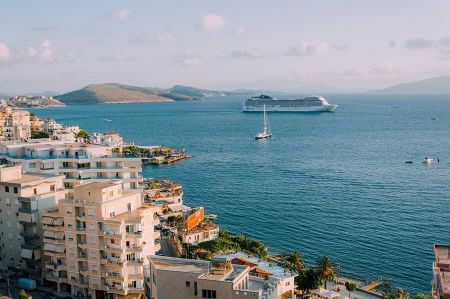 Saranda is located on a small, not particularly protected and south open bay on the Ionian Sea, which is surrounded by 200 to 400 meters high hills. From here it is only a few kilometers to the southwestern Greek island of Corfu. 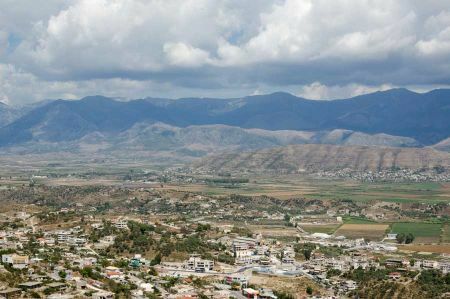 From the fertile plain in the east, the city is separated by a narrow range of hills, which moves south to the nearly 20 kilometers distant Vivar Canal at Butrint and rises north of the city to 600 -meter-high mountains. On the mountain Mali i Lëkurësit, which is part of this hill range and lies southeast of the city center, a castle called Kalaja e Lëkurësit was built in the Middle Ages. On a hill further north are the ruins of the Monastery of the Forty Martyrs above the city. In ancient times, today's small town of Saranda was called "Onchesmos" and served mainly as the port of Phoinike. Various remnants of late antiquity such as the city wall can still be seen in the city center. Among them are the remains of a large synagogue, which is often cited as evidence of the millennia long presence of Jews in Albania. Like Butrint, Saranda was destroyed during the Migration Period in 551. In the Middle Ages, the port city had no great importance and was repeatedly destroyed and looted. In the 6th century, above the city, the "mighty church" of the "Forty Martyrs Monastery" was built, probably a place of pilgrimage with a large crypt. From their Greek name Hagioi Saranta also derives today's name Saranda. Later, the Italian version of Santi Quaranta increasingly prevailed. The ruins of the basilica, which had been studied by the archaeologist Luigi Maria Ugolini in the late 1930s, were completely destroyed by an air raid during the Second World War. 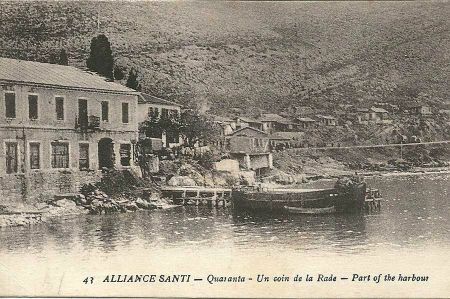 From the beginning of the 15th century, Saranda was part of the Ottoman Empire for almost 500 years, belonged to the "Sanjak of Delvina" and experienced a decline. In 1878, Greek nationalists from Corfu burned down the city. Under the dictatorship Enver Hoxhas Saranda was expanded from the mid-1950s to a resort and significantly expanded. Also some factories in particular the food industry were established. Many farms have been set up in the eastern plain. Only at this time the place got an urban character. In 1967, 8700 inhabitants lived in the city. After the overthrow of the dictatorship in 1990/91, most businesses were closed, and as a result, unemployment and poverty rose. At the 1997 lottery riot, rioters broke into the city's three museums (education, weapons, and ethnography), robbed them, and set fire to them. The remains can be seen in the small exhibition Museu i Traditës at the harbor. The most important source of income for the inhabitants has become bathing tourism in the last 20 years. The guests of the city are mainly Albanians. Unfortunately, in recent years tourism development has triggered the almost obligatory construction boom. Numerous hotels and also buildings with apartments were built. 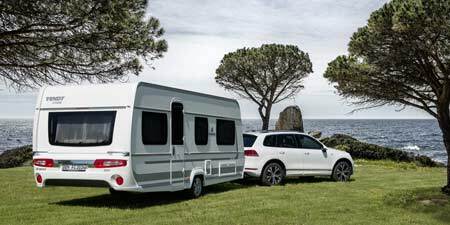 The place expands more and more in the previously undeveloped surrounding area. This has left Saranda much of its former charm of a small coastal town. Since 2013, under the program of the new government Rama demolished illegally built buildings and objects. The most significant attraction in Saranda is the extensive ancient ruins of Butrint, which we will detail in detail shortly, about 15 kilometers south of the city, which since 1992 is part of the UNESCO World Heritage. Other attractions include the Byzantine church of Shën Kollë (which is dedicated to Nicholas of Myra) in Mesopotam and Syri i Kaltër (Blue Eye), probably the most famous karst spring in Albania. Also, the ancient site Phoinike east of the city at Finiq is a notable landmark. In 2006, a theater was found there and dug up. 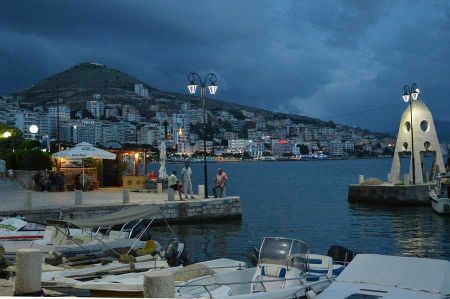 Saranda is visited annually by about 500,000 tourists, so far only 35 percent of them are not from Albania or Kosovo.